A memento mori is designed to “remind the viewer [or wearer] of their mortality and the shortness and fragility of human life” (Tate Museum). Memento mori jewelry was known for its intimate workmanship, beautiful delicacy and close associations with eternal love and remembrance. Mourning jewelry was a way for the bereaved to hold on to the memory of a loved one who had passed away: a way of saying “gone but not lost” or “sacred to memory.” It brought comfort and consolation and was not morbid or ghoulish, but touching and loving. I wanted to capture the musk-like smell of skin, using all naturals, which was quite a challenge. 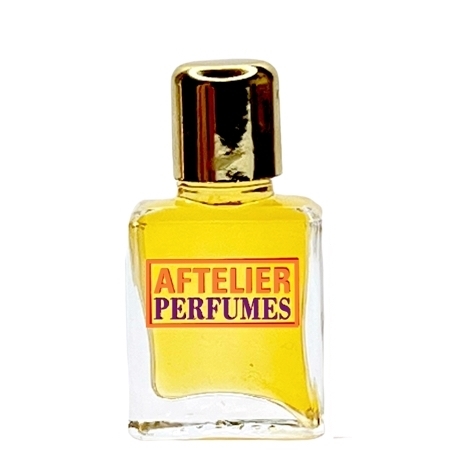 The wearer has the experience of the perfume changing on their skin, much as time changes memory. The carrier for the perfume is a blend of fractionated coconut oil and alcohol: to combine the lift of the alcohol with the tenderness of the oil. Butter, orris and beta-ionone with their skin-like flat but subtly floral aroma was the perfect entry into the perfume. Phyenylacetic acid combines the animalic with the floral. The rose notes are a soft and intimate bridge to the skin-like tones of the wood violet -- beta ionone -- and the rich but transparent patchouli isolate -- patchoulyl acetate. The luminescent texture of ambreine, civet and ambergris lends warm and sheer notes of musk that linger. This was a deeply personal perfume for me to create. Memento Mori is about the tender memories of the skin and body of someone with whom you have been intimate, and the ways that you treasure and long for that which you remember when they are lost to you. We want to hold the vanished beauty close even as we experience the piercing quality of memory. Top: butter, orris, phenylacetic acid. Middle: Turkish rose absolute, phenylethyl alcohol. Base: beta ionone, ambreine, ambergris, antique civet, patchoulyl acetate.